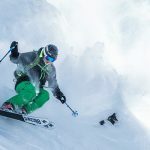 The Salomon MTN Explore boots are light enough for full day touring missions while still able to competently ski big lines in and out of bounds. 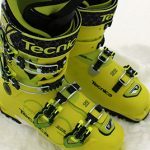 While these aren’t the lightest alpine touring boots on the market, they are able to confidently drive fatter skis than most other AT boots tested in this weight category. When climbing, the Salomon Motion Fit Technology offers up a respectable 63° of cuff rotation, and a unique lateral walk mode switch to make transitions a snap. 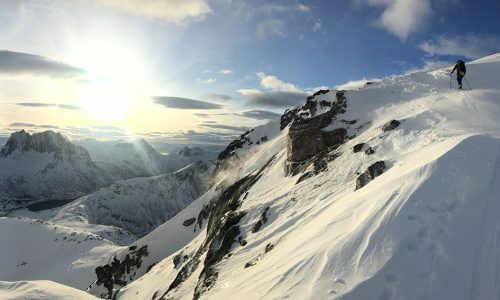 On the ski down, the carbon fiber spine, Surelock ski/walk mechanism and Grilamid lower shell provide excellent power transmission to the ski. Some alpine touring boots can actually be too light. 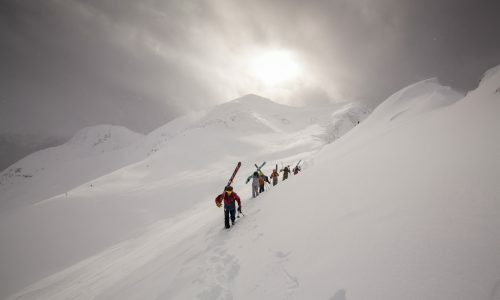 While this is a huge plus climbing up the skin track, it’s not an attribute skiers wants on the ski down. 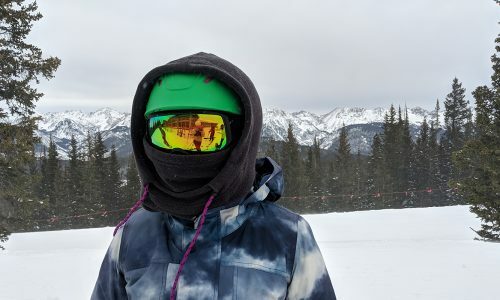 The perfect combination of light weight, comfort, flex and skiability are what makes the Salomon MTN Explore boots such a pleasure to ski no matter the conditions or terrain. Salomon uses a CustomFit 3D full thermo-formable liner in the MTN Explore boots. This ultralight liner is pre-shaped and has built in ‘Biofit Ventilation’ which is designed to release moisture vapor as it builds up. A stiff plastic tongue reinforcement provides added comfort and protection from shin bang. At 6.4lb for the size 8.5 the Salomon MTN Explore’s aren’t the lightest AT boot by any means but they are in the upper end of light weight boots we’ve reviewed. 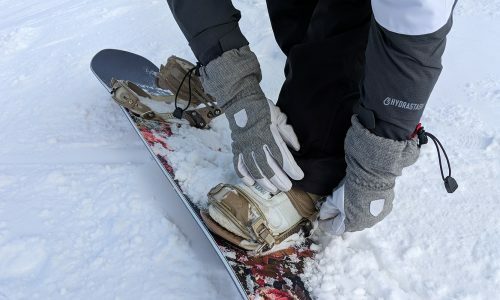 The Grilamid lower shell reduces weight as do the CustomFit 3D liners which makes them ideal for ski touring but still effective in variable terrain and snow conditions. The MTN Explore boots are able to drive fairly wide skis thanks to their carbon fiber TR spine. A 24mm riveted oversized pivot reduces play and provides precision and direct power transmission to the ski. 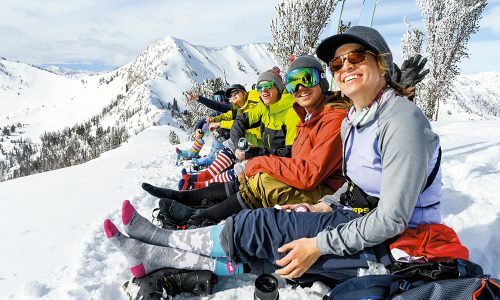 A touring specific polymer cuff and Grilamid lower shell further provide support and make the MTN Explore ski more like a traditional downhill boot. With a flick of the lateral Surelock walk/ski locking mechanism a full 63° of cuff rotation is achieved. In the same motion you’re are able to open up the top buckle of the MTN Explore boots for even more comfort in walk mode. I prefer to keep the boot fully buckled while climbing as it provides support and saves time on transitions, others will prefer the maximum range of motion with the top buckle open. The Salomon MTN Explore boots really can do it all. 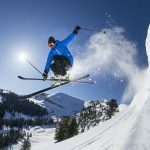 The light weight and 63° range of motion make them ideal for ski touring while their rigid shell and carbon spine enable them to excel at skiing technical terrain in variable snow conditions. Like the Dynafit One AT boot, the MTN Explore boots are the one boot for your skiing needs.